I posted some new custom content over on my live journal, a little follower gift. 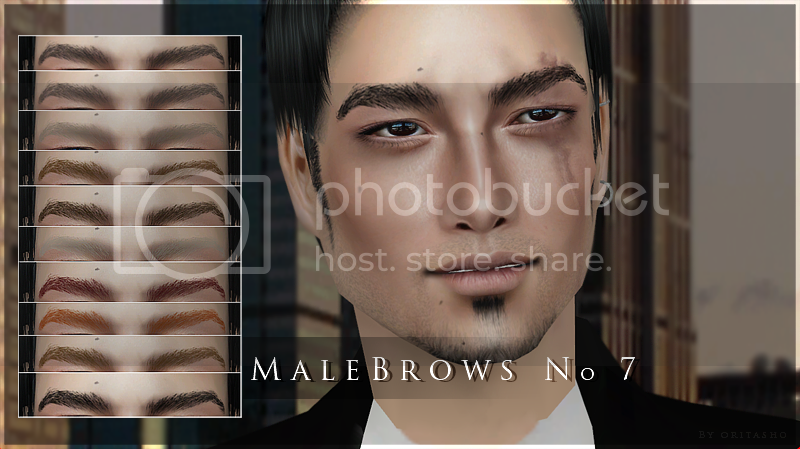 Posted a new set of Male eyebrows over on my Tumbler. Just wanted to let you guys know that I finally made a TUMBLR, and I will probably be posted more over there then I do here. Including pictures, information about my series and upcoming machinama projects, as well as downloads and personal finds. 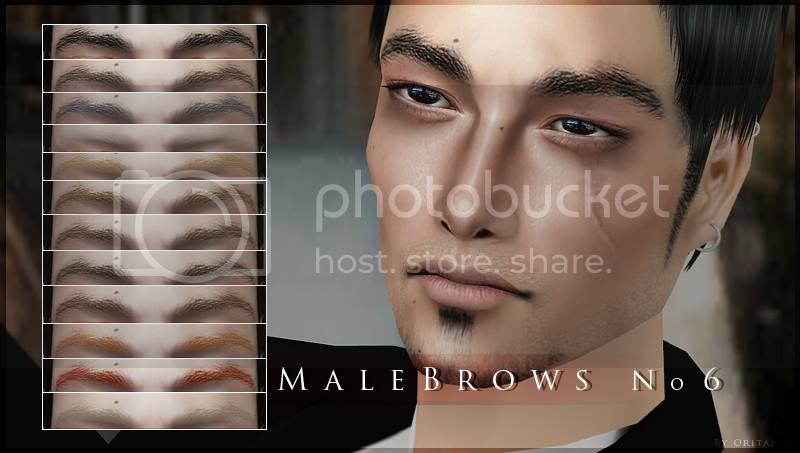 Another set of male brows, I have a few of these piled up, thought it was time to share, took me long enough too. Anyway, looks great on woman as well. Yay for thick brows lol. I actually had a few people requesting these, so they'll hopefully be happy. Hope someone can find use for these. And before people start asking, the scar is by me and no it is not available for download. Whow, it's been a while, I guess that's what having a job can do to you. Anyway I thought I would buckle down and post something for this month. An old set of eyes, still greatly loved by myself. 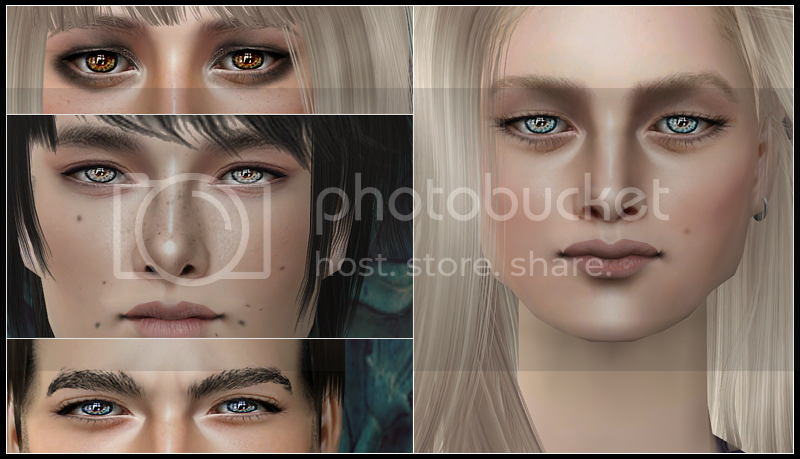 These were actually my very first eyes I ever made, and I've fixed them up just a little, making them cleaner, made more colors, finally thought I would share them. So I hope someone can find use of these and enjoy them. If you want any recolors let me know. Sorry! It`s been quite awhile sense I posted anything, been quite busy with life, who would have thunk it huh? Me having a live lol. Mostly work though, thats not much of a life, though I guess I`ve been doing a bit of travling as well. Man I have hardly any ``stress`` stress in my life right now. It feels pretty good. However, I think being unstressed makes me unmotivated. I need to buckle down and get filming some stuff. 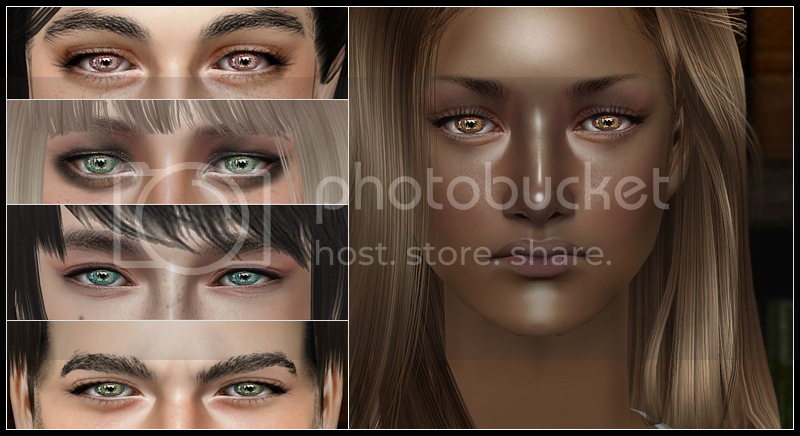 Anyway Here is a new set of eyes for, hopfully someone, to enjoy. If you want any recolors or whatever let me know. A new eyeset to share, the colors in this one were kind of heard, but I think in the end they kind of look cute and innocent. In anycase, I hope someone can find use for these. If you would like any recolors please let me know. A little late I know, anyway, I made this for this years Secret Santa event over at GoS, and I thought I would share it. My SS asignment was Lizzie, as you can probably see from the picture lol. A set of natural soft eyelids. 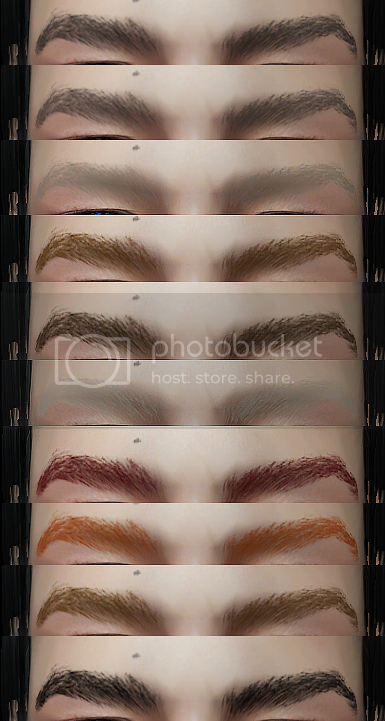 Yet another set of brows for your males, they can be used on females too, I had someone message me and ask that lol. 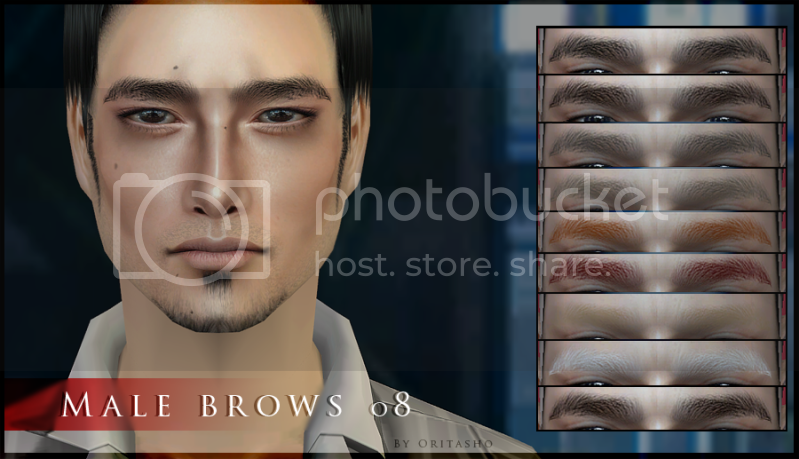 Anyway, I was struggling to figure out what I should post up for download, right now I actully have quite a few things, and I thought I was posting too many eyebrows and not enough of other things. 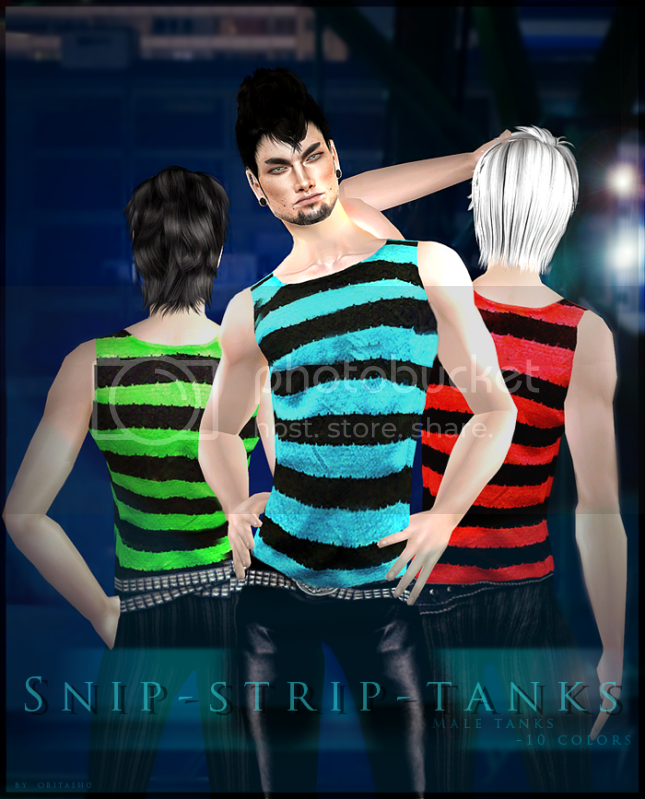 But I asked a few people and they said they would like to have more male brows. So here you guys go. 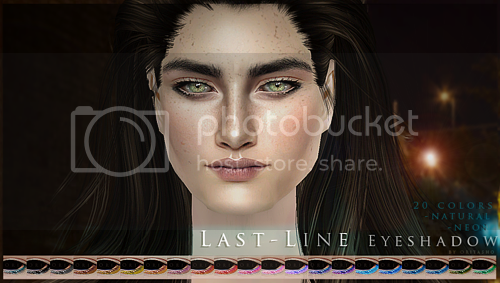 This that I do have to upload, Eyelides, brows, eyes, some nose masks, and maybe some lips. 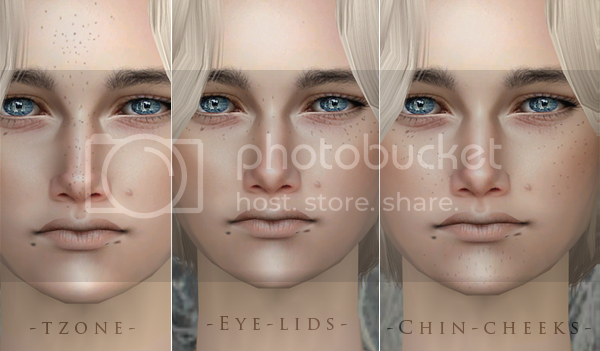 I might try and make a few mole/beauty marks as well.